Haven’t you ever heard about process essay? Maybe you already have, but you know about it as ‘how-to’ now. This is a kind of paper that explains the full tutorial on how to do something step by step. Such kind of text is often used in content-marketing to provide a target audience with relevant information about their search. You can read the process essay about making handmade hats, chocolate cake, or building a garage. There is no limit where you can use such kind of paper. It is also used as academic writing at schools, colleges, and universities. The main difficulty in writing a process essay is its structure and attention to each step. If you poorly describe one part in the whole process, then you didn’t handle the task. Each part of your essay has its importance and influences on the results on further stages. – Find out more about your target audience. The content in your essay should be relevant to the skills of your audience. Let’s see it on the simple example. When you create how-tos for making simple toys you should describe it regarding age and skills of small kids. They will be your target audience. If you explain how to install Windows on a personal computer, you will use more professional vocabulary. The same is fair for college paperwork. – Make notes. When you write your essay, you need to use numerous sources. Thanks to such materials you are able to make your how-to really informative. So before starting your job collect as more ideas, arguments, notes, and other useful materials for your process essay as you can. – Describe every step. The process essay must be very detailed and informative. You can describe something in general or share your expressions and call such paper a how-to. That’s why you must take your task step-by-step and make the entire process understandable. Notice: a lot of writers make a huge mistake on this stage. They literally become obsessed with the idea of informative how-to and describe each step as like being under the microscope. As a result, your process essay becomes too heavy and too detailed. Be sure, that people don’t like to be fooled and listen to descriptions of every single action. That’s why a writer should keep balancing between full description and information amount. Usually, students get their task from professors. In most lucky cases they have an ability to choose one favorite topic from the list. When you pick up a task for yourself it is recommended to check it out for having enough information. – The solution of Windows blue screen error. As you can see, there is no problem with finding a topic for process essay. But you need to make sure that there are enough sources or personal knowledge to write such text. All traditional essays consist of well-known parts: introduction, body, and conclusion. It is vitally important to keep the proper structure because it influences the final result very much. In addition, the length of the process essay is an open question. There are no strict limitations about its size. Some topics require just several paragraphs, some of them will look like a dissertation. But the main rule about essay length is the following: your paper should explain each step properly and teach readers how to do something. In such a situation the length is not really important, but the structure must be kept. In introduction the writer must hook his readers. Yes, some of them require your information, but can’t stop reading because of uninteresting introduction. Make it clear, catchy, and informative. – Short historical background. People will be excited to read about the origin of what you are writing about. Such information allows readers to becoming more involved in your essay. – Add approximate time. Such information helps people to handle all their actions and find out the proper amount of time on this job. Whatever they need to install the application on a smartphone or cook a cake for contest they will be sure in own time management. If you like, you may make your introduction perfect. Everything is in your hands, so read more about this process essay part. The body is an essential part of each essay, and how-to also can’t exist without this part. Exactly here the author describes the process of his task. So the body paragraph should be divided into exactly such amount of moving parts as your process requires. – Explain each step. Yes, the length of these parts may be different, but try to keep it equal. Start with dividing your process to steps and create short descriptions for them. – Remember about your purpose. You must remind people time after time why they do such actions. It will help them to follow your how-to properly. – Make the steps to be bounded. One step should flow after the previous one, and so on. Try to use special action words such as ‘next’, ‘now’, ‘after’, etc. – motivate readers to save the how-to or share it with friends. Always check the tone of your speech. Remember, that there may be beginners among your target audience, do you need to explain to them the process very carefully. Simple language and easy structure will definitely help you in this task. Remember, that after reading your process essay the reader should get answers on all his questions. If he still wonders how to make any actions, then your essay didn’t satisfy his needs. In such case, you have nothing to do, but to rewrite weak parts of your how-to or the whole paper. To make awesome paper people may also use examples of process paper. Be sure, such papers can help you understand the main aspects of this task and do it better. Our team works with the process essay almost every day and can share additional advice with you. Ask us for a free consultation or order your how-to right now. Don’t hesitate our professional help instead of making the average paper. 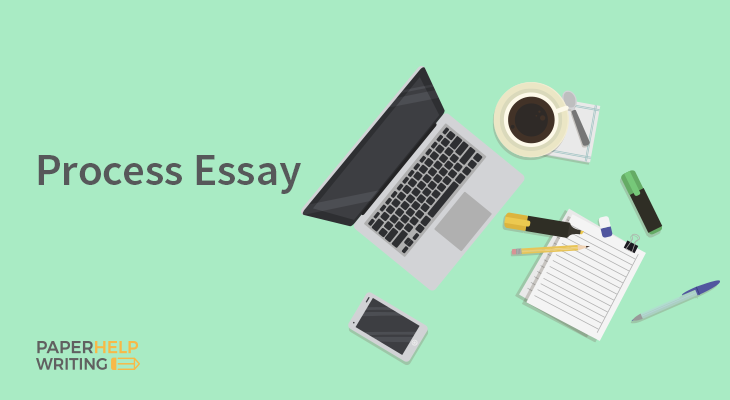 Let us provide you with the perfect process essay!